Jeffery Henning, who did the Basic English dictionary portion, can now be found through his work on: Langmaker. With the advent of the AltaVista search engine, more references have been found. A search on "Basic English" + Ogden works well. Here is a sampling. LAUWERY's COLLECTION. This collection includes books and papers bequeathed by Professor Joseph Lauwerys (1902-1981), Professor of Comparative Education at the Institute from 1947-1970. They cover such topics as: broadcasting in education, progressive education, the founding of UNESCO, education for international understanding, science education, and C.K. Ogden's Basic English. Books occupy 141 shelves, papers 12 shelves. The materials in the collection have not been sorted. Basic English was developed by Charles Kay Ogden (1889-1957) as an International language' and as a system for teaching English to speakers of other languages using a simplified vocabulary of 850 words. In 1947, with the involvement of the Ministry of Education, the Basic English Foundation was established to promote the use of this system. Its main activity was translating and publishing books in Basic English and, after a controversial history, it finally wound up its activities in the 1960s. 315* The System of Basic English. - An introduction to C.K. Ogden's system of Basic English in light of traditional and modern philosophy. This course is designed for students who want to develop systematic control of written and spoken English. Prerequisite: INTD 100. January session, 4 credits. There are many references to Basic English in alt-usage-english. Here are some. Basic English (where "Basic" stands for "British American Scientific International Commercial") is a subset of English with a base vocabulary of 850 words, propounded by C. K. Ogden in 1929. Look under "Ogden" in your library's author index. Basic English is a list of 850 words in English that are intended to be sufficient for day-to-day communication. The list was established by C.K. Ogden in 1930. These pages intend to establish a similar list of vocabulary for other languages. The aim of this is to help people who are learning other languages to develop a solid vocabulary base. This is not done through any sort of thorough study of word usage in languages, but rather a simple translation of the Basic English vocabulary into other languages. I am currently working on translations into German, Esperanto, Latin and various other languages. If you would like to help me, either with these languages or with another, I can give you a comma delimited text file that is easily importable into a spreadsheet or database program, or editable by any text editor and word processor. One of the Library's finest rare book and manuscript collections. Purchased in 1953 with a grant made by the Nuffield Foundation to encourage research work in the field of communications, it consists of about 5,000 volumes of carefully built special collections of rare books, including 152 early Bentham items, 24 incunabula and 294 books printed before 1640, as well as the personal archive of over 60,000 letters and 100 boxes of family papers of the 1st Lord Brougham, one of the university's founders and national political figures, and 102 individual manuscripts and small manuscript collections, dating from the 14th to the 20th century. It formed an important part of the vast collection of Charles Kay Ogden, founder of the Orthological Institute and author of Basic English . Ogden's own interests in language systems are reflected in the subject matter of the UCL collection, which contains early editions of Bacon, Coleridge, Milton, Shelley, Minsheu, Boyle, a fine collection of Ben Jonson material including a signed copy of Vitruvius' De Architectura, and rare early examples of cryptography and shorthand. Books are traceable through UCL Library's on-line catalogue : eUCLid (search under the classmark OGDEN). The Ogden manuscripts include a group of seventeen Elizabethan and Jacobean manuscripts relating to Bacon and Shakespeare, a three-page letter of Shelley, 95 letters of Dante Rossetti, 67 letters of Emile Zola, 826 letters of John Bright, an Arnold Bennett collection of over 2,000 letters, including Joseph Conrad, Andre Gide, Virginia Woolf and Rebecca West as well as the author's corrected manuscripts. The correspondents of Lord Brougham include eminent political, literary and celebrity names of the 19th century including Benjamin Disraeli; William Gladstone; Arthur Wellesley, 2nd Duke of Wellington; Charles Grey, 2nd Earl Grey; Henry Bellenden Ker; William Wilberforce; Charles Dickens; William Lamb; and Queen Caroline. Transitional English -- "This site is still (and likely always will be) under construction." Also contains a 4-5 page passage from From "THE ABC OF BASIC ENGLISH" by Ogden. English as an International Language. University of Illinois at Urbana-Champaign. Lists reference works and many links. The Bible In Basic English, 1965, by Cambridge University Press. Published without any copyright notice and distributed in America, this work fell immediately and irretrievably into the public domain in the United States. In any search engine, look for the exact text: The "Bible in Basic English" to find 800 references. Bible.ChristiansUnite - select book, then chapter. The Bible text designated BBE is from The Bible in Basic English printed in 1965 by Cambridge Press in England. The form in which the Bible is given here is not simply another example of the Bible story put into present-day English. The language used is Basic English. Basic English, produced by Mr C. K. Ogden of the Orthological Institute, is a simple form of the English language which, with 850 words, is able to give the sense of anything which may be said in English. Hint: the BBE suffix can be treated as a .txt file. In the entire Voynich A corpus, there are about 2300 unique groups. But over half of them occur once only, and many of those are pretty strange in other ways, such as looking like two normal groups run together. If we exclude those, we have about 1000 groups. That's too few for natural language - Ogden's "Basic English" contains 1600 words and it's a fright. So this is either not language or some highly stylized or synthetic language, as has often been suspected. Full text of C.K. Ogden pamphlet. Thank you, Douglas. Ogden was an academic, writing in a different era, and in England. His thesis is couched in that manner. Winston Churchill, Inside the Journals Churchill's directives to the BBC and a translation of the Atlantic Charter. SeaSpeak: Also English for maritime communications. Essential World English by Lancelot Hogben. A 1,300 word version of Basic with more verbs. Decent book, approximates Ogden's "The Next Step". Out of print. An abbreviated writing invention to transcribes languages. Fanetiks / Phonetics Reformed (Phonetic) English Spelling - At Least for Teaching. Welkam tu a nu wae uv rieting Ingglish -- a raashanal wae. "BASIC" English (British American Scientific International Commercial) in Fanetik - a transliteration into Fanetik and Augméntad Fanétik of all 850 words of the simplified-English system created by C.K. Ogden in 1928 and endorsed by Winston Churchill, Franklin Roosevelt and others as an auxiliary international language. Preface by George Bernard Shaw to The Miraculous Birth of Language by R A Wilson, 1941. Simplified Spelling Society - subscription $30 or 30 euros. An introduction to the issue of the importance of the emerging "Global English" approach to English learning. Basic English Hurrah! Basic English is the best International Language ever invented. Let's improve and revive it! On this page you can... Download a free program to convert documents in BE from standard spelling to reformed, consistent spelling systems and vice versa. Charles Kay Ogden. Born June 1, 1889, Fleetwood, Lancashire, England. Died March 20, 1957, London. 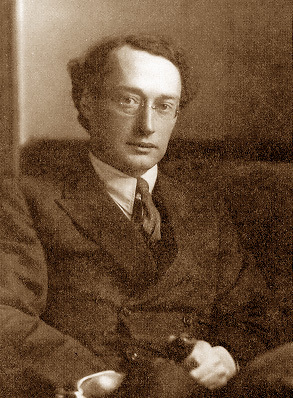 British writer and linguist who originated Basic English, developed between 1926 and 1930, a simplified system of the English language intended as a uniform, standardized means of international communication. It enjoyed some popularity for more than a decade, but subsequently the language was little used. 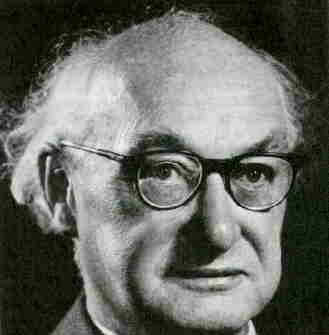 Ogden, Charles Kay . Brit. educator & psychologist; inventor & proponent of Basic English, 1889-1957. Richards, Ivor Armstrong . Eng. critic; advocate of Basic English; co-wrote "The Meaning of Meaning" 1923 with C. K. Ogden, wrote "Principles of Literary Criticism" 1924; member of New Criticism school 1893-1979. This is a tempting idea, not least because it promises to save us a good deal of work. Why invent thousands of words if a hundred will do? The Speedtalk idea may seem to receive support from such observations as that 80% of English text makes use of only the most frequent 3000 words, and 50% makes use of only 100 words. However (as linguist Henry Kuera points out), there's an inverse relationship between frequency and information content: the most frequent words are function words (prepositions, particles, conjunctions, pronouns), which don't contribute much to meaning (and indeed can be left out entirely, as in newspaper headlines), while the least frequent words are important content words. It doesn't do you much good to understand 80% of the words in a sentence if the remaining 20% are the most important for understanding its meaning. Orwell wanted desperately to preserve the English language and make it available for world use. It was because of this that he embraced the idea of "Basic English," a system of language first proposed by C. K. Ogden in his book The System of Basic English in 1934. Some say that this system is the basis of Newspeak, which is an interesting paradox, since Newspeak was the result of the destruction of language, and Orwell sought to preserve language. "... There is, for instance, the Basic English of the Orthological Institute at 10, King's Parade, Cambridge, by which foreigners can express all their wants in England by learning 800 English words. It is a thought-out pidgin, and gets rid of much of our grammatical superfluities. The Institute is, as far as I know, the best live organ for all the cognate reforms, as the literary Societies and Academies do nothing but award medals and read historical and critical lectures to one another. ..."
K.E. Garay: "Empires of the Mind? C.K. Ogden, Winston Churchill and Basic English," Canadian Historical Association Historical Papers, 1988. Archives of Basic English Foundation -- Institute of Education, U of London. Basic English was developed by Charles Kay Ogden (1889-1957) as an ‘international language' and as a system for teaching English to speakers of other languages using a simplified vocabulary of 850 words. In 1947, with the involvement of the Ministry of Education, the Basic English Foundation was established to promote the use of this system. Its main activity was translating and publishing books in Basic English and, after a controversial history, it finally wound up its activities in the 1960s. Korzybski letters [gone] . . . the language of the book has been made so simple and straightforward that no boy or girl who is old enough to be interested in history would have any trouble in reading it. The book is, in fact, in Basic English ; so that not only the very young but even those with a very limited knowledge of English may make good use of it. One of the most influential rhetoricians of our time, Ivor Armstrong Richards has had an impact on numerous facets of rhetoric, linguistics, and literature. In 1939 Harvard University invited Richards to direct the Commission of English Language Studies and to produce Basic English textbooks and to train teachers in the method of Basic English. While at Harvard, he saw that television might become an important part of teaching. The Rockefeller Foundation awarded him a grant to study cartooning and animation at Walt Disney studios where he worked on developing a universal script which could express various situations. With Christine M. Gibson, Richards produced numerous textbooks over the years for teaching Basic English in various languages. Ironically, despite its usefulness in teaching English, Basic English was never accepted as the standard method for teaching English anywhere. There are many sites relating to his earlier work, before Basic English. About this Page: BEWeb.html - Various listings about Basic English found on the Web.